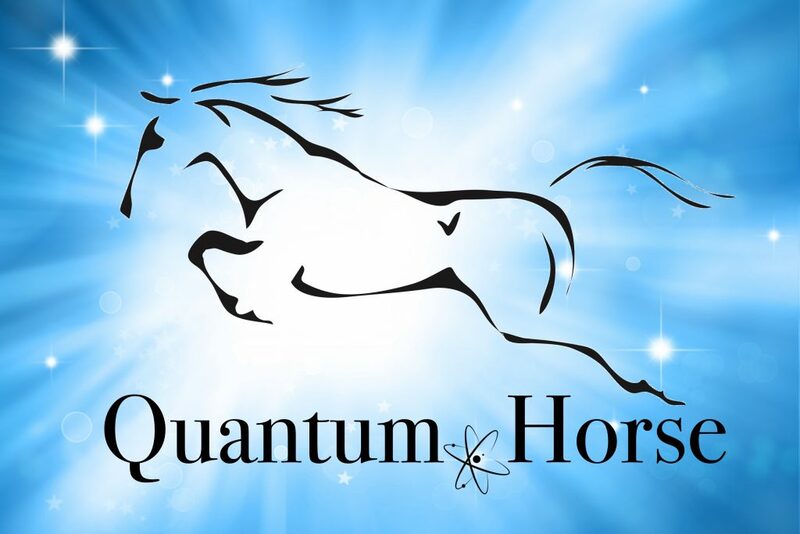 Quantum Horse™ is the next evolution of raising consciousness and expanding what is possible in your life through exploring the wisdom and natural state of “being” that Horse offers. Quantum Horse™ invites you to move beyond the material world and into the non-material world to become the creator of your destiny and the igniter of your courage and spiritual leadership. Horses have an acoustic nature, sensing the vibrations of all that is in their environment. 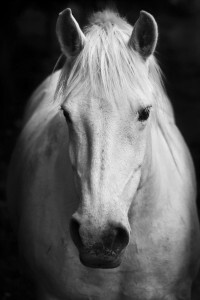 Horses also have a quantum perspective, an understanding of how everyone and everything are intrinsically connected. They live as a fully integrated being connected to themselves, others in the herd, the physical environment, and the spiritual realms beyond the physical world. The Quantum Horse™ program guides you to remove the subconscious blocks that hold you separate from humans, animals, and the outer world so you can enter into the realm of heart-based interconnectedness with your entire being and all of those around you. Quantum physics show us that at the smallest level we are entangled, in constant communication, and sensing in realms that our conscious awareness may not be tracking. Wouldn’t it be wonderful to have full awareness of how you are creating your life, so that you might realign your consciousness and create what you truly desire? Horse is a highly in-tune being that naturally observes at this invisible energetic, quantum level. What they perceive they respond to, and it becomes their reality (whether or not it is real). In this way, Horse offers human precisely what human is offering Horse. The dance unfolds through all offerings of perspective, thought, feeling, intention, and focus that the human consciously or unconsciously brings forward. Now, more than any other time, research is giving us the scientific understanding of how our perspectives and beliefs influence our reality, right down to the changes at a cellular level. We once believed that our life was predetermined by our genetics, and now we know that any individual can create a state of consciousness that results in good health and internal balance and regulates genes. Horses demonstrate to us this state of wellbeing with ease and grace. During this program, the horses will invite you into this Quantum Field of reality to explore and expand your consciousness in a way you may never have before. Whether you are focused on motivating a team to greatness; becoming healthy, fit and thin; creating wealth, finding love, eliminating stress, or getting your horse to cross over the stream, everything you experience is a direct reflection of your internal self. Wouldn’t it be wise to become the “lead mare or stallion” of your inner landscape so you can shape it to the destiny of your creation? Experiences and tools to bring your body and mind back into profound harmony and balance. A deeper understanding of the emerging sciences based on the exploration of consciousness. The release of stress and the return to true alignment, inner congruence and receptivity. Practical approaches to shift the experiences in your life dramatically. An opening and experience of higher realms of consciousness. Experiences with Horse to shift your perspective and current paradigm, and bring you toward what you have intuitively known to be true all along. A way to utilize quantum intelligence to create an entirely new way to communicate with your horse (and all beings). An understanding of the science that supports the process. Where did the phrase “healthy as a horse” originate? Horses that live freely in open space typically will remain healthy, day after day. When the herd is in harmony, they also live in harmony, connected to the earth. They are fully integrated between body and brain, and their body has equal expression. Humans, on the other hand, are often operating out of high beta brain waves as their lives are becoming more complex and focused on multi-tasking. Now, more than ever, the everyday person is bombarded with stimulation from electronic gadgets and extended commitments. Connection to one’s higher source for energy and guidance is diminishing as stress prevails and dis-ease often ensues. Based on the scientific research in epigenetics, brain wave patterns, the Law of Attraction, and discoveries of the Heart Math Institute, the Quantum Horse™ program moves you from the ordinary state of being into an extraordinary state of receiving so you may, with ease, offer your contributions and gifts to others. 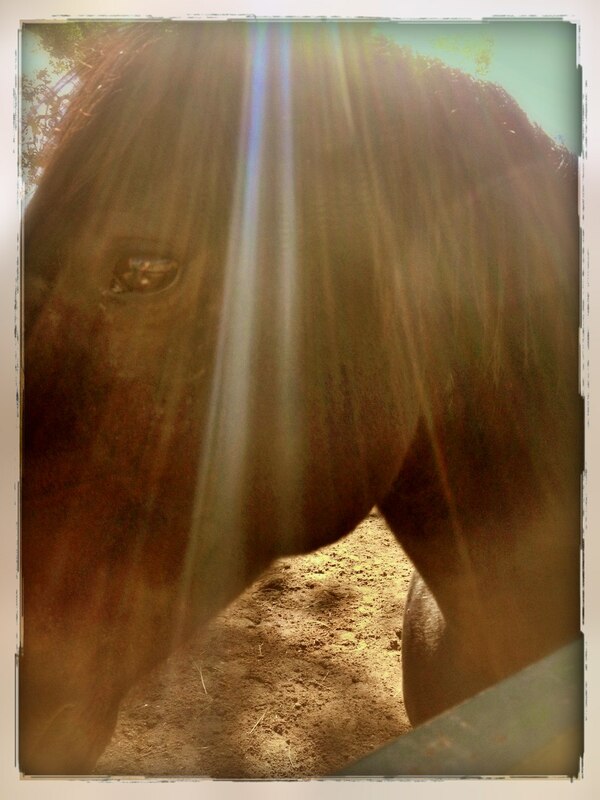 Horse takes you on the journey into the realms of non-reality where you then create your reality. Yes, I want to Experience the Wisdom of Horse! You are ready to release the layers of stress and old habits that keep you small and unnoticed and move into being a confident contributor to the welfare of others and horses. You want to release the chaos so you can feel inner calmness and peace during times of significant transition and growth. 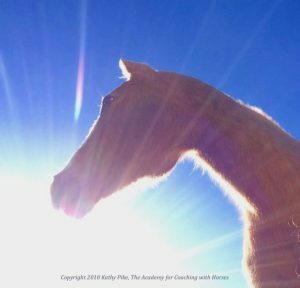 You want to learn and practice how to harness the power of your mind and body to create an energetic expression that brings you the desires you seek as you engage with Horse (and others). You are ready to open to the power of connecting to the unified field of consciousness and increasing your ability to be spacious and awake, just like Horse. You desire to deepen your understanding of how you are communicating energetically on a moment-to-moment basis and what internal shifts you can make to create a more profound connection to others, yourself, and Mother Nature. You are done with your limiting programming and patterns and want to ignite new pathways that will bring possibility and expansion. You are ready to learn about quantum physics and the Law of Attraction and how it can shift your horsemanship, leadership, and all relationships. You want to master living the emotions of love, joy, curiosity, and happiness, evolving your vibration and state of being into pure peace and freedom. You desire to trust your intuition and allow more of your knowing to come through clearly — making your path more filled with ease and joy. 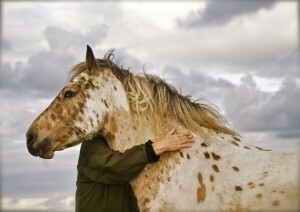 You want to connect deeply with Horse. This new program, designed by Kathy Pike, is deeply rooted in her passion and research over the last 15 years. She will guide you to higher levels of consciousness through concepts such as the Law of Attraction, quantum physics, sound therapy, the chakra system, meditation, the emerging field of epigenetics, and creative visualization. Combining this work with her equine herd of spiritual masters on her private property in Colorado enhances a deepening and grounding of the work through one’s intellectual understanding, but more importantly through a first-hand experience with her herd. Tuition includes extensive handouts, all exercises, and lectures, as well as one-on-one time with Kathy and her masterful herd. Program is has limited space. Sign up below to ensure your spot!